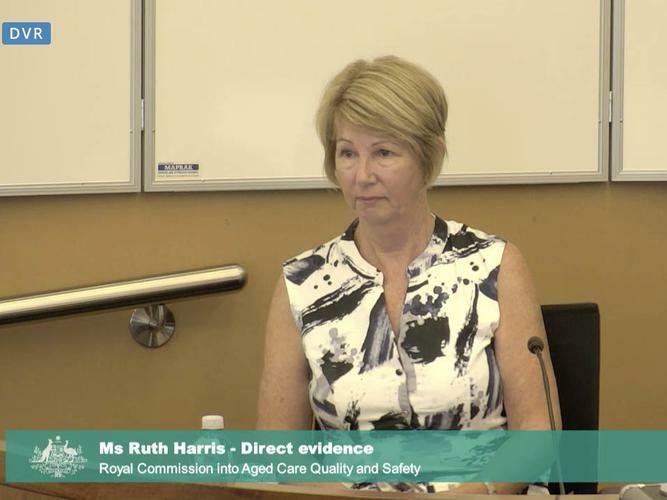 Ruth Harris has told the Royal Commission into Aged Care Quality and Safety her 91 year old mother Joyce Edwards waited 13 months for a Level 4 home care package, before deciding to enter residential aged care. Ms Harris' mother moved into a residential aged care facility in January this year after being on the waitlist for a home care package for 13 months. A capable, independent and active woman well into her 80s, it was only when Ms Edwards turned 90 that her health began to deteriorate and her daughter recognised the need for additional in home support. After ringing My Aged Care, it was decided that Ms Edwards needed an aged care assessment through the Aged Care Assessment Team (ACAT), which was completed the following week. Assessed for a Level 3 medium priority home care package in November 2017, Ms Edwards began the long wait, fraught with a lack of communication between My Aged Care and the elderly people they work to support. Ms Harris says everytime she rang My Aged Care the waiting time of 12 months, was quoted, despite her mother already waiting for eight to nine months. She says she naively thought the support would be forthcoming relatively quickly. “It comes to a deadstop when you’re on the list. When Ms Edwards had a second ACAT assessment in May 2018, her needs were identified as requiring a Level 4 home care package. Her daughter rang My Aged Care, to again check when her home care package was and was met with the same response. "When I would speak to the operators on the phone, I would say “Do you realise these people are in your 90s and you’re asking them to wait 12 months-plus for a package. Now that’s a long time when you are already very elderly." With her health further deteriorating, Ms Edwards moved into a residential aged care facility in January this year after being on the waitlist for a home care package for 13 months. “She decided we can’t keep waiting forever,” her daughter says. “Shockingly, when she called My Aged Care to let them know her mother could be taken off the list, the operator informed her Ms Edwards’ home care package was available and she had been sent a written letter a month earlier. Ms Harris says they hadn’t received the letter and was surprised a follow-up phone call hadn’t been made. She says more transparency and a clearer process is required. “Families really don’t know what to do until something happens. “My one regret is that we never got to try out the Level 3 package to see how that would’ve gone and if she could’ve stayed home.